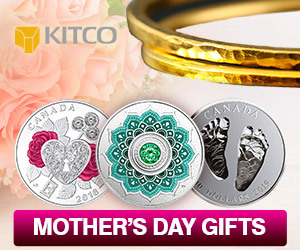 (Kitco News) - With gold back to trading near six-month lows and prices struggling to catch a break during the past few weeks, analysts are saying that gold is failing to attract safe-haven interest due to a surging U.S. dollar. 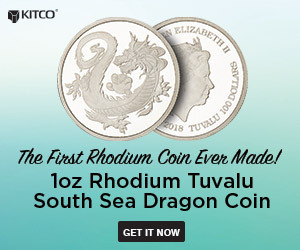 Even though there is a clear threat of a trade war on the horizon, markets are not fleeing to safety, which is why gold prices are not reacting, analysts told Kitco News. August Comex gold futures were last trading at $1,260.60, down 0.65% on the day, after hitting a fresh six-month low of $1,256.40 earlier in the session. Analysts said that the rising U.S. dollar was to blame for gold’s move down on Tuesday, with the U.S. dollar index last at 94.60, up 0.35% on the day. And it’s not just today, said ING commodities strategist Oliver Nugent, adding that the U.S. dollar resurgence has been a strong downward driver for gold during the past couple of weeks. But the precious metal’s “biggest disappointment” this year has been that it keeps failing to attract safe-haven inflows in a meaningful way, according to Nugent. SIA Wealth Management chief market strategist Colin Cieszynski also sees the U.S. dollar rally as one of the main obstacles for gold prices in the short term. The worst part of the summer story could be that gold is not yet done bottoming out. “Gold is oversold, but doesn’t seem to want to bottom out either,” Cieszynski noted. Analysts are projecting more losses for gold before a rebound, noting that historically summer is a seasonally weak period for prices. “Nothing fun” is in store for prices in the short term, said Melek, with technical activity pushing gold out of the way. Cieszynski pointed out that since the gold market breached the $1,265 support level, the next move could be to test $1,240. Gold is likely to stay near the bottom of last year’s trading range — $1,240 and $1,360, Cieszynski added. “We could be getting closer to a seasonal washout, but we are not there yet,” he said. On the positive note, the interest-rate environment is becoming more favorable for gold, with inflation expectations rising — a good sign for the precious metal that has traditionally been viewed as an inflation hedge, noted Melek. On top of that, lower gold prices might encourage more physical buying in key markets, including China and India, Nugent pointed out. “If you look at the jewelry demand in China, it has been incredibly robust already after being stimulated by lower prices. Plus, the turnaround in India is expected. At lower prices, we could see more buying,” he explained.